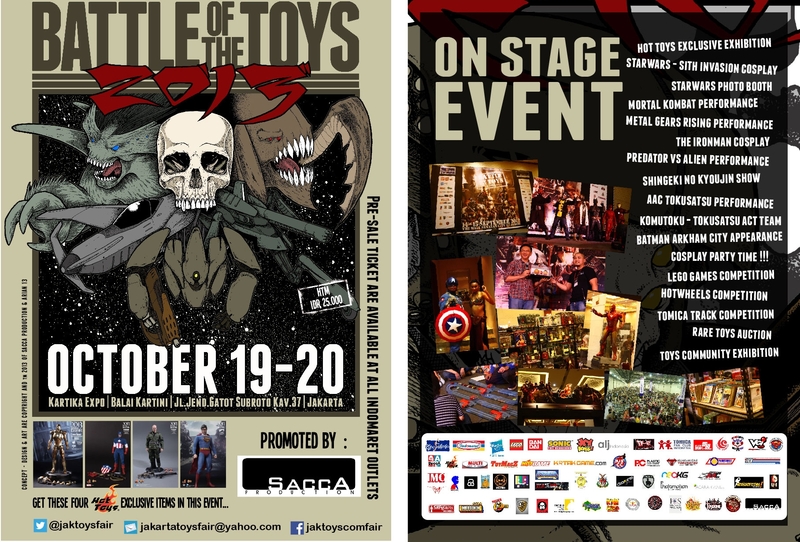 Battle of the Toys is one of famous Toys Event in Jakarta, organized by SACCA. And now, again, Nendonesia is participating in this event. And, we’ll also having an On The Spot Photo Contest too! We still working on the detail regarding this Contest, so stay tuned. Meanwhile, here is the Layout Plan. From Lego booth, just go up passing the alley. Crossing between A24 and A25, you will not miss it. This is a two days event, 19-20 October 2013. So, don’t forget to visit our booth, and have fun. This entry was posted in News and tagged Battle of the Toys, toys event.